Make the Road New York (MRNY), already a wide-reaching non-profit serving Bushwick and greater New York City, is expanding their programs and services through a new partnership with ActionNYC, a network of organizations providing legal assistance to immigrants. ActionNYC will provide community-based, free legal help through partnerships with 14 existing organizations throughout the five boroughs, including MRNY and others such as the Center for Popular Democracy and the New York Immigration Coalition. It's a massive coordination effort in an otherwise scattered field of organizations without the individual resources to broaden their reach spearheaded by the Mayor's Office of Immigrant Affairs (MOIA). MRNY predicts the program will help them reach over 3,000 more immigrants. 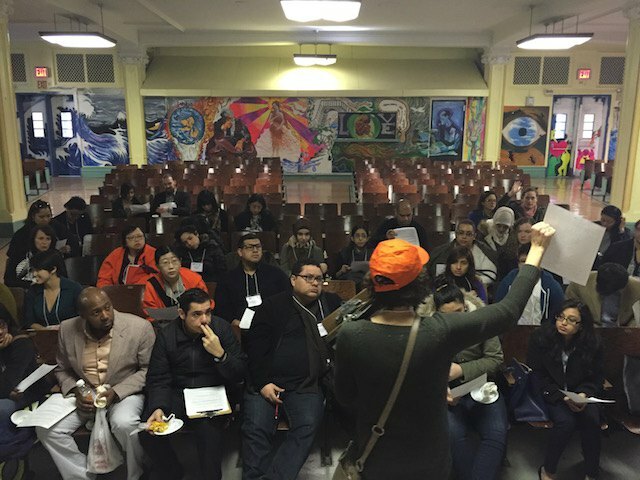 The Lead Organizer at MRNY, Natalia Aristizabal, noted that "this [program] is critical for residents of Bushwick and all the City's neighborhoods where immigrants reside, where so often immigrants lack access to high-quality legal services and are taken advantage of by unscrupulous 'notarios.'" As early as February, Bushwick residents were able to take part in a successful ActionNYC clinic. Ms. Aristizabal adds, "Make the Road New York is proud to be conducting outreach and providing navigation services to community members." In a statement announcing the partnership with ActionNYC, Javier Valdes, Co-Executive Director, emphasized the wide scope of such a program by pointing out that "New York is the only city in the US with such an ambitious program to reach immigrant residents with holistic services" and noted that the program is positioned to serve as a model for similar programs in other cities across the country. The Mayor's Office announced back in December of 2015 that ActionNYC would represent a $7.9 million push to provide safe and free immigration help with few language barriers, and the program is equipped to work with individuals who speak English, Spanish, Mandarin, Korean, Russian and Haitian Creole. To schedule an appointment call 1-800-345-0365 or 311 (and say ActionNYC) or visit the website.